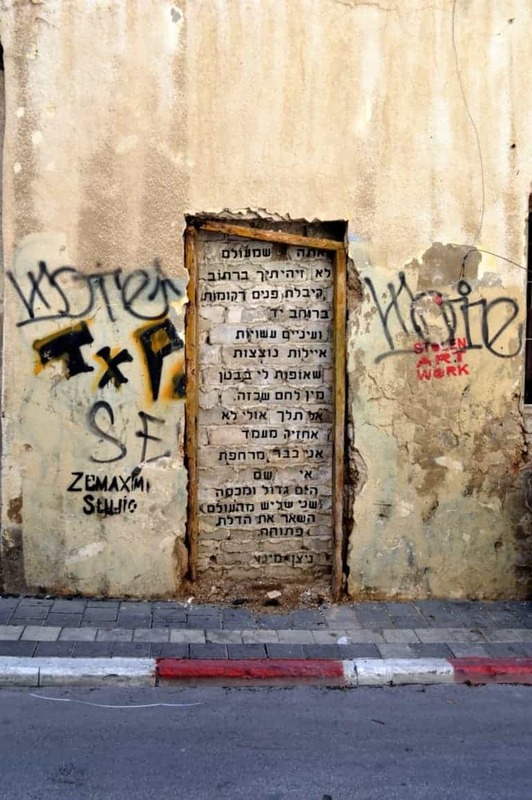 It’s a place where cultures collide: Jews, Arabs, Christians, atheists, artists, scientists, locals, foreigners, young, old, gay and straight – they all share this rather secular city in such a religious country. But somehow this diversity and tolerance of one another has created an ambience in Tel Aviv rarely found in other cities throughout the world. My last three days of my trip to Israel with OUTstanding Travel were spent in Tel Aviv visiting various parts of the city and immersing ourselves in the local culture. At one point, our host Nadav took us on a tour of the local LGBT center in Tel Aviv. Oh…by the way,” he said, introducing us a local enjoying a coffee with friends at the onsite café, “…this is the Israeli ambassador to Serbia – and he’s gay. But interestingly, this experience wasn’t unique. So many of the people we met on our trip – hotel staff, servers, business owners and locals were gay and completely embraced by the community. Several of the people we met during the trip even joked about how many residents call Tel Aviv a “straight-friendly” city as the Israeli gay community has such a large and influential presence. It’s no wonder that within the past decade, Tel Aviv has landed itself on the map as one of the top destinations for LGBT travelers. Now rivaling ultra gay cities like San Francisco, New York, Berlin, Madrid and London – Tel Aviv has a unique offering in the Middle East, perched right on the Mediterranean Sea with almost year round beautiful weather. It’s a city that doesn’t sleep and even in the heart of a highly religious country, it’s a place where you can find a huge gay population with a sense of openness and a thriving nightlife scene. The locals of Tel Aviv have even embraced the annual Tel Aviv Gay Pride festival held in June each year. It’s one of the largest events held in Tel Aviv and one that the entire city has grown to accept and appreciate. For Europeans, Tel Aviv is possible to visit on a long weekend city break since flights from most parts of the continent are under four hours. Visitors coming from North America or other parts of the world will probably visit Tel Aviv as part of a longer trip to Israel or another nearby destination. Tel Aviv deserves at least three days visit, if not more, and it’s best to go over the weekend to take advantage of the nightlife, if that’s your sort of thing. But keep in mind that Israel operates on the Jewish work week meaning weekends are Friday and Saturday as locals return to work on Sunday. It might be tempting to visit Tel Aviv in the middle of summer like you might other cities during your annual vacation, but keep in mind that high temperatures can reach 35C (95F) with fairly high humidity. If weather is a big concern it’s best to visit in spring, early summer or early fall to avoid the heat. But even a visit during the hottest months can be remedied with days spent at the beach. Visiting during winter is also an option as the weather is still quite nice even in December or January when temperatures range from just 15-20C (60-70F) – a nice break from most cold and gloomy cities in other parts of the world. The main downside to a visit during winter is that it’s really not beach season so you won’t get to enjoy the thriving beach scene that Tel Aviv is famous for. Tel Aviv is relatively small and compact so it’s best to stay in a neighborhood central to most of the places of interest. The population is just over 400,000 people but the metro area stretches out in all directions and there’s no physical distinction between Tel Aviv city and its neighboring towns. Neighborhoods like Florentine or Neve Tzedek are some of the best places to stay. Tel Aviv doesn’t specifically have a gay neighborhood but you can find lots of gays hanging around these areas drinking at cafes, riding bikes and walking dogs during the day and hitting up the bars and clubs by night. 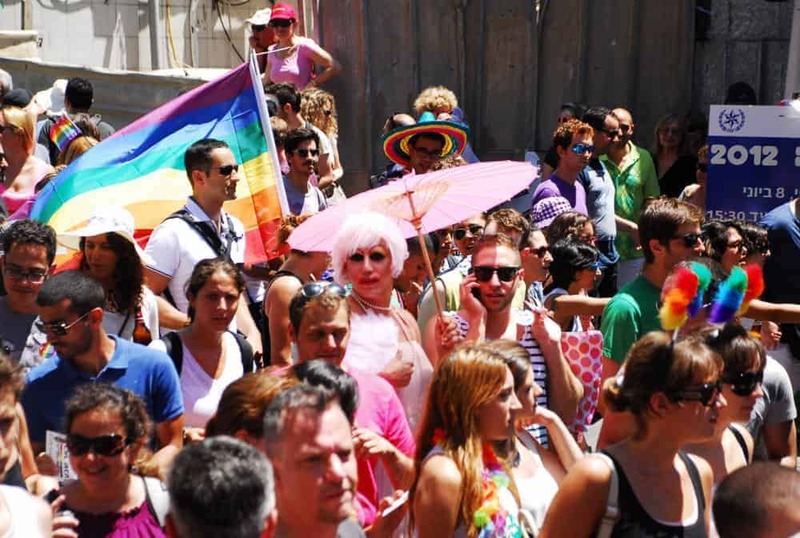 Tel Aviv doesn’t have a gay neighborhood…the whole city is gay! 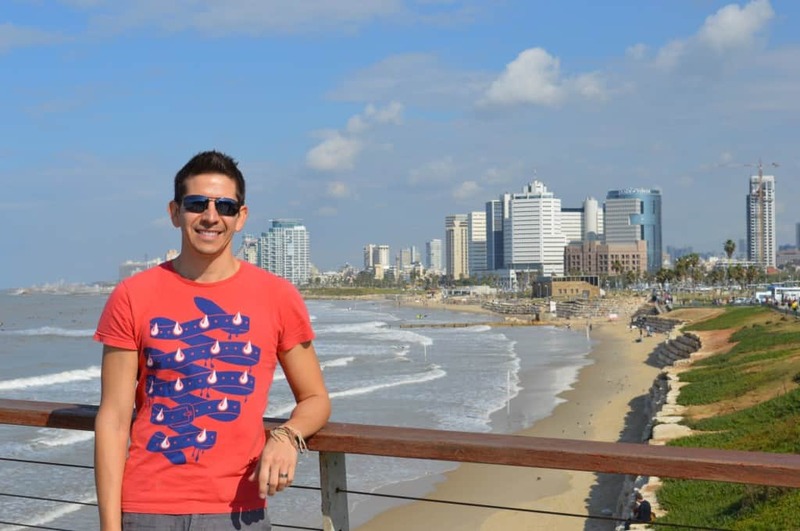 Just about any property is gay friendly in Tel Aviv but there are a few favorites that are well known for gay travelers. Iconic gay favorite properties like the Brown TLV Urban Hotel is a great option if you can afford it. At a minimum you should at least visit their outdoor bar and rooftop terrace to hang with a fashionable crowd while sipping top-notch cocktails. Other properties located in central Tel Aviv like the Pink House TLV cater just to LGBT travelers and offer budget accommodation. Several other higher end hotels that cater towards LGBT travelers include the new Royal Beach Hotel, the Hilton Hotel Tel Aviv (a top gay favorite) and the Melody Hotel just across from the Hilton and minutes walking to the gay beach. We stayed several nights at both the Royal Beach and Melody and both were nice properties. But if a hotel doesn’t sound appealing or it’s above your price range, you can always get a nice deal renting an apartment with AirBnB, MisterBnB (with gay and gay friendly hosts) or a similar booking site in nearly any popular neighborhood. 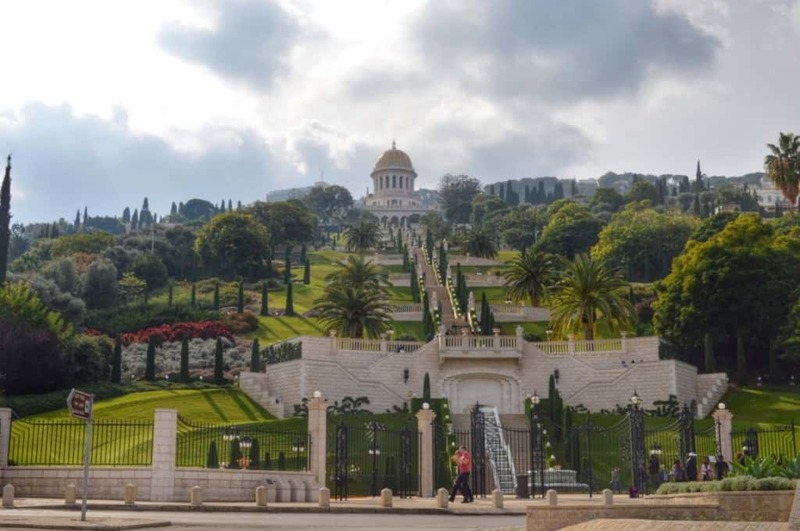 Making your way around Tel Aviv isn’t too difficult but you won’t find a city metro or rail system like you might in Jerusalem or other large cities. Tel Aviv does have a developed public transport network but it’s geared more towards locals rather than towards tourists. Buses are abundant but mostly all in Hebrew so navigation isn’t always simple. Besides the regional train that goes to the airport and other cities within Israel, your best bet is to take a taxi or go by bike. Like many big cities around the world, Tel Aviv has recently implemented a bike sharing program where you can rent bikes all across the city at various different stations. Take the bike one way from one station and return it to another for simple commuting while also taking the opportunity to burn off all that hummus and falafel you’ve probably been eating. If you’re staying in a central neighborhood then you shouldn’t have to travel too far or exert too much effort as Tel Aviv is compact, flat and easy to get around. Looking for group trips or pre-planned itineraries in Tel Aviv or Israel? Check out these great Guaranteed Departure Trips + Tel Aviv Pride and save up to $50 or more on all tours with OUTstanding travel. Find out how here! Tel Aviv is a relatively new city with a history of only 100 years. 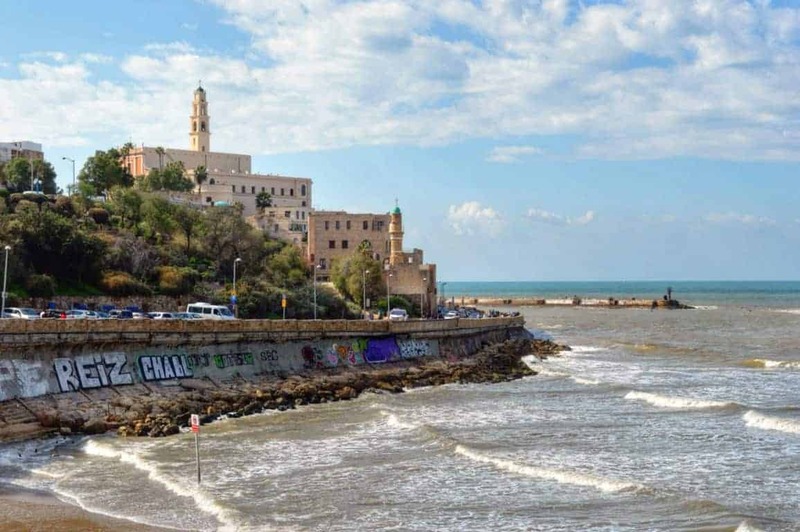 Most sites and attractions here are modern but head just ten minutes south to the old town of Jaffa and you can explore the oldest Israeli port city that dates back to more than 5,000 years. This area maintains its historic appeal and has been reclaimed with countless restaurants, hip bars and more art galleries than you can count. After strolling the ancient stone alleyways and streets, head up to the Jaffa flee market to enjoy the sights, smells and sounds of a bustling street marketplace. Browse the offerings and enjoy a freshly made falafel or sabich for lunch and later buy yourself a freshly squeezed orange or pomegranate juice from one of the many street vendors. Besides the old town of Jaffa, day time in Tel Aviv provides plenty of options like strolling the city streets, shopping and relaxing on the beach. Though Tel Aviv is gay friendly all around, the beach just in front of the Hilton Hotel is considered the official Tel Aviv gay beach, and is appropriately named Hilton Beach. When you’ve had enough sun for the day head up to Rothschild Boulevard to relax at a cafe. As day turns to night, you’ll see why Tel Aviv is world famous for its nightlife scene, especially in this and the surrounding neighborhoods. Tel Aviv is full of cafes, bars and clubs that cater to the local Israeli gay residents and LGBT travelers where many of the popular gay venues actually have mixed crowds. Some favorites include places like the Brown Hotel Bar, Lima Lima and Kuli Alma – a new and trendy underground bar with outdoor lounging, indoor dancing and even a changing art gallery. For a relaxing atmosphere check out Shpagat – a stadium-like tiered bar located on Nahalat Binyamin Street where you can enjoy a drink with friends and people watch from many of the different levels as nighttime crowds cruise up and down the street. Evita is a classic and one of the oldest gay bars in the city. Inside you’ll find pop music and casual dancing or you can head outside to enjoy outdoor patio. Apolo Club is another gay favorite and cruisey-type place located off of Allenby Street. 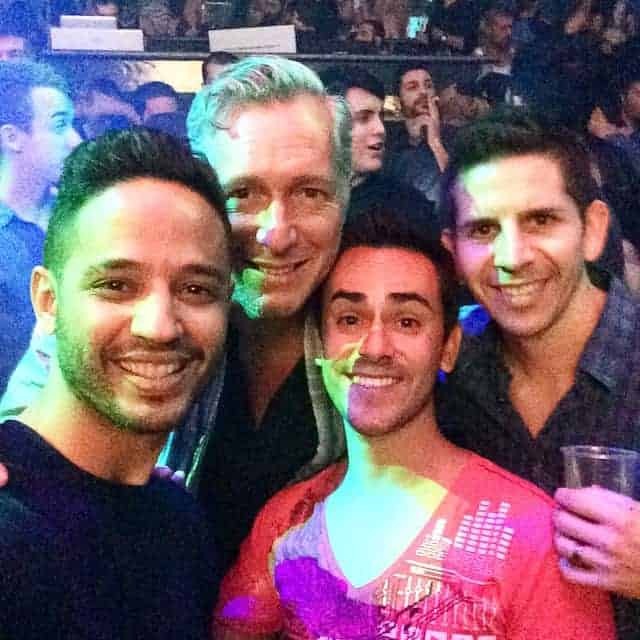 Tel Aviv doesn’t really have permanent gay clubs but instead they have over-the-top gay parties that change venues. Big events like FFF or WE Party often host monthly events at venues like Ha’oman, Tel Aviv’s largest nightclub. These parties bring an attractive and energetic crowd of mostly men – with both locals and foreign visitors. One of the best things about Israel from a travel perspective is the small size of the country and its diversity of offerings for a tourist. In less than a few hours you could make a quick visit to Jerusalem, float in the Dead Sea and be back in Tel Aviv for dinner. While both of these sites probably deserve at least a half to full day exploring, it is still possible to see a lot in a small amount of time. Besides the more popular choices like Jerusalem and the Dead Sea, you can head north to Haifa to visit the Baha’i Temple Gardens with 19 stunning terraces built alongside Mount Carmel or take a tour of the ancient Roman city of Caesera – both just under an hour away and north of the city. 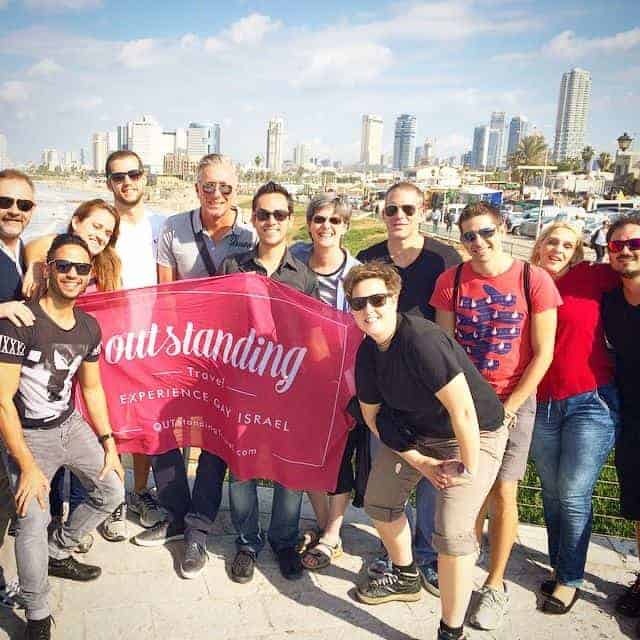 If you visit during the summer and plan to base yourself in Tel Aviv, check out the gay tours offered by OUTstanding Travel. 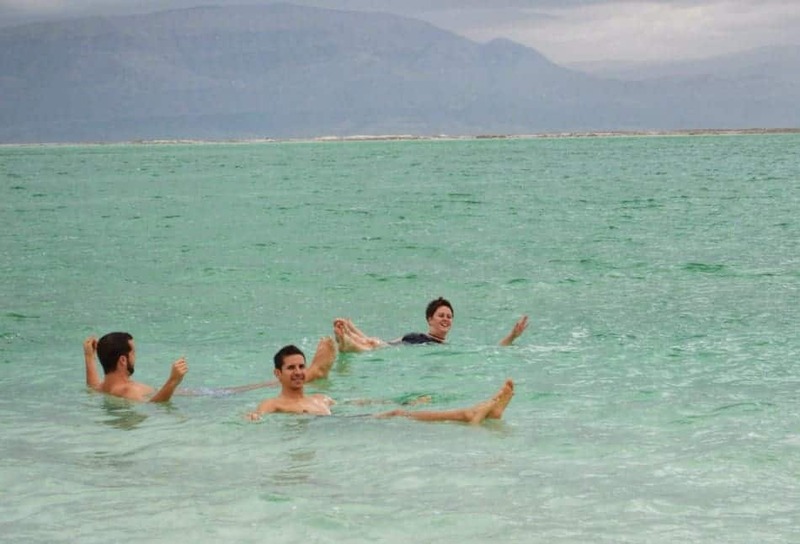 Every weekend they offer gay bus tours to Jerusalem and the Dead Sea and if you’re visiting during Tel Aviv pride they run the tours on a daily basis. Plus you can save $50 or more on their tours by using our special discount. More info here! Have you ever considered visiting Tel Aviv? What aspect of the city interests you the most? Let us know in the comments below! Note: OUTstanding Travel sponsored my visit to Israel. As always, rest assured all opinions are 100% my own.In fact, I highly recommend OUTstanding Travel for any guided visit to Israel. They are passionate providing an excellent travel experience and I have no doubt that you would enjoy yourself if you choose them. Featured image photo credit: Liat Mandel. Tel Aviv is a super great place to go to. It took me three days to fall in love with the people, the beach, the streets. It took me three hours to fall in love with the food. I need to find myself a woman to fall in love with but Tel Aviv is awesome! Yes it is a great place…and OMG, the food :-) Can’t wait to go back. Thank you so much for this new post! Tel Aviv it’s really a nice destination for gays and lesbians. It’s time it’s soooooo perfect.